I had meant to post this little project a few weeks ago. 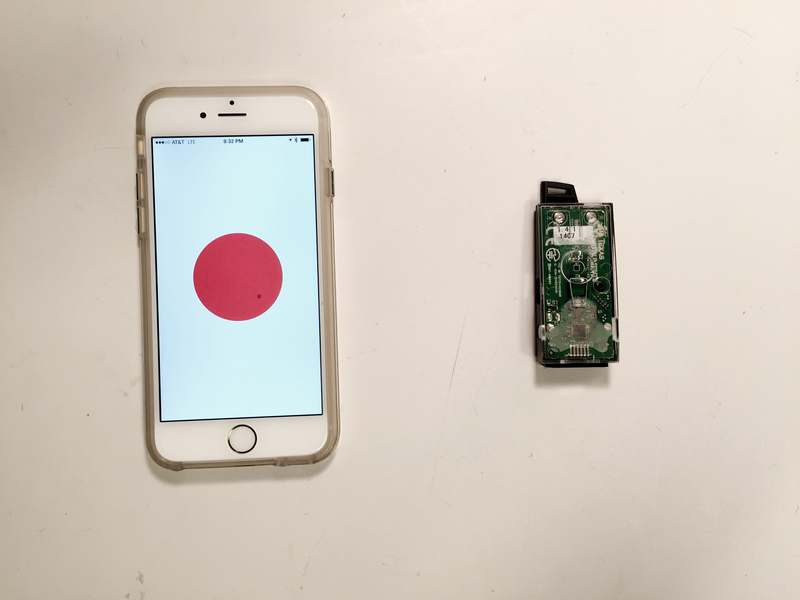 This was my first time trying to read sensor values on my phone through BLE connection (and I have loved BLE since). I used the TI Sensor Tag, which has a bunch of sensors on the board. To read any of their values, you have to first turn that sensor on in the code. For the visual and audio response, I used p5 and p5 audio. Next Post → AOAC update: the phones are iBeacons!